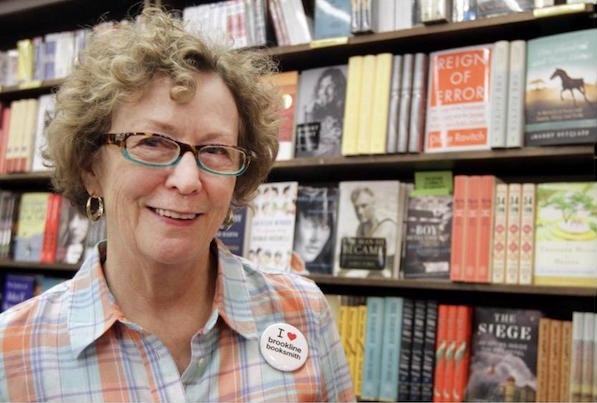 Dana Brigham, the longtime general manager and co-owner of the Brookline Booksmith in Brookline, MA, will retire at the end of May after 37 years with the bookstore. Booksmith assistant managers Lisa Gozashti and Peter Win will become the store’s new managers. The two became co-owners in 2015. Booksmith controller Tim Huggins, who is the former owner and founder of Newtonville Books, will become the store’s new CFO. Brigham will remain a member of the Booksmith’s board and a senior adviser to the store. During her tenure, Brigham helped lead the Booksmith through a series of strategic initiatives in a changing bookselling environment. In 1999 she oversaw the acquisition of a sister store, the Wellesley Booksmith, from the defunct-Lauriat’s chain. The store was sold in 2010 and became Wellesley Books. In 2012, Brigham also led the acquisition of the Globe Corner Bookstore’s stock and online presence, creating a Globe Corner Travel Annex within the Brookline store. In an statement, Booksmith co-owner Marshall Smith praised Brigham’s “low-key, highly successful management style,” for the store’s success both within the community, and “far beyond.” Smith founded the bookstore in 1961. His son Jed will join the bookstore’s board as its new chair as part of the changes in management when Brigham retires next month.